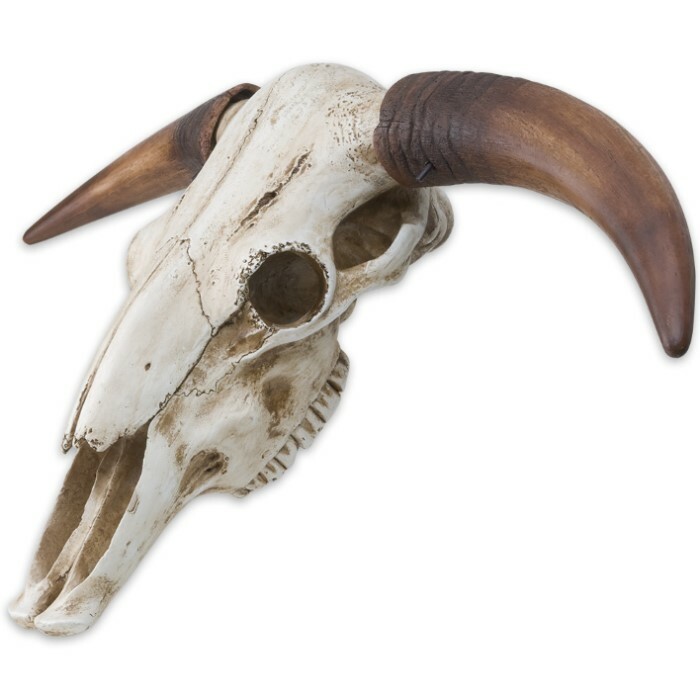 Massive Full Size Bull Steer Skull | BUDK.com - Knives & Swords At The Lowest Prices! 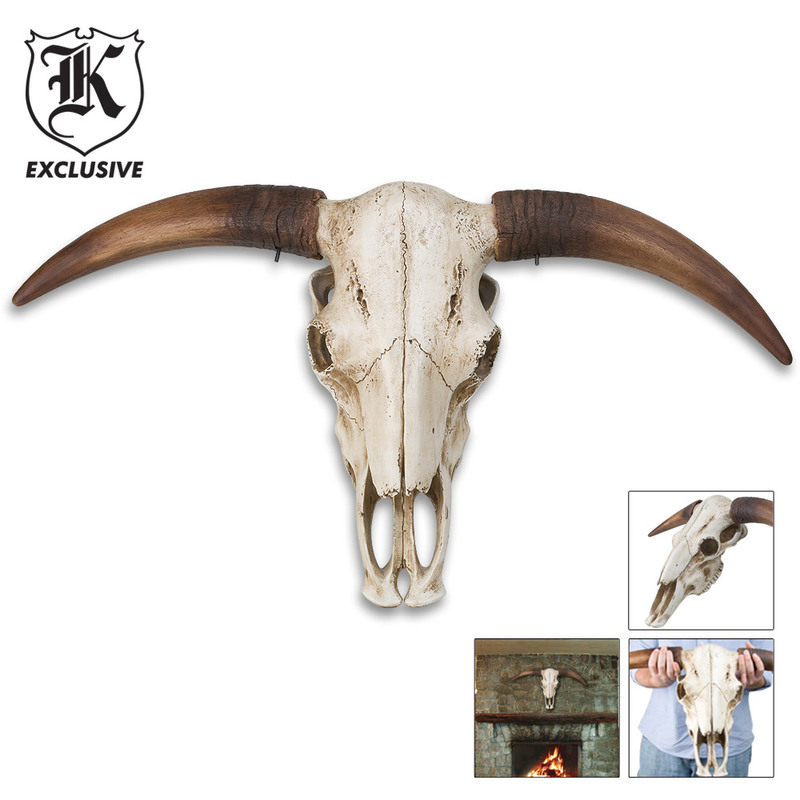 You can hear the tumbleweeds roll by as you mount your new bull skull above your fireplace! 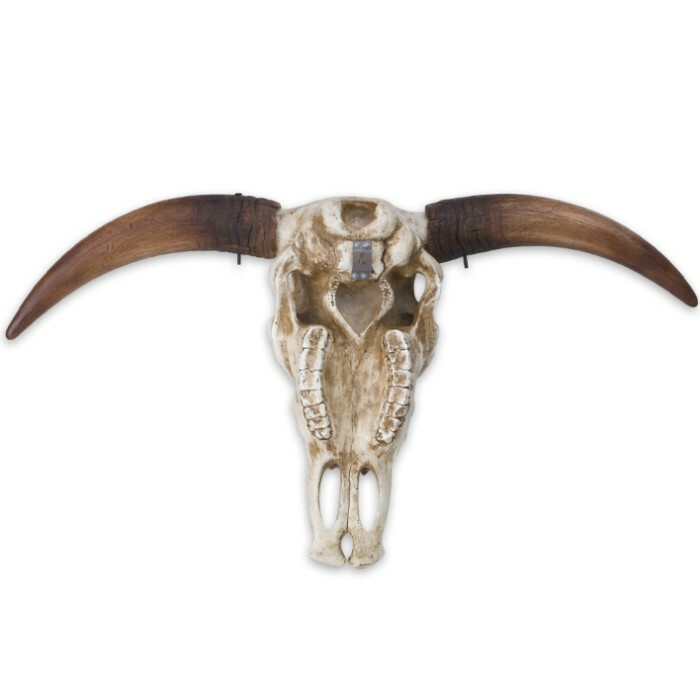 The realistic looking piece is crafted of hand painted cast resin and is the same size as an actual bull skull. Wall mounting hardware is already installed on the back of it for easy hanging. Your guests will absolutely think that it is the real thing! Opened the box and loved it!! Bought 2 @ $30 each, painted one turquoise and gold/brown, it turned out amazing!! Will make a great Mothers Day gift! Will definitely buy more!